There are indeed so many things to celebrate in life. But there are occasions that call for something a bit more special. Treat yourself — and your family and friends — to an evening of good food and wine as you celebrate at these venues. 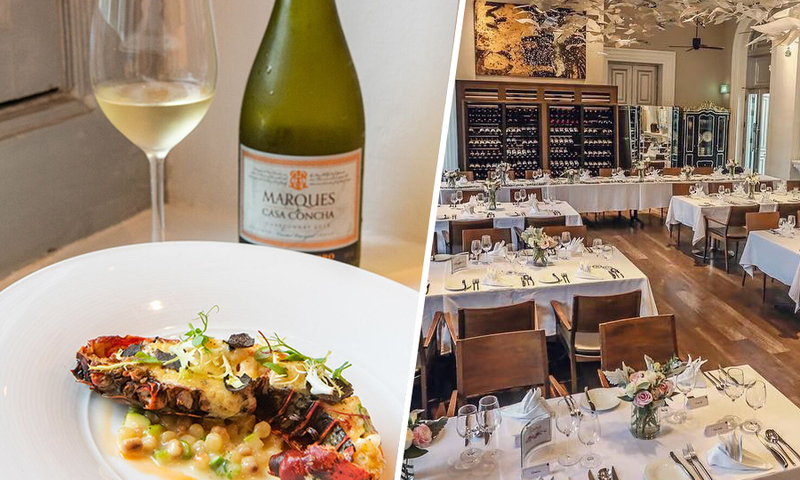 These culinary gems paired up — pun intended — with Marques de Casa Concha for the perfect wine and dine pairing called The Perfect Marques Match. You finally scored the position you've been coveting for years! It's time to give yourself a pat on the back and a well-deserved gastronomic indulgence. Enjoy the five-course tasting menu at Flutes. 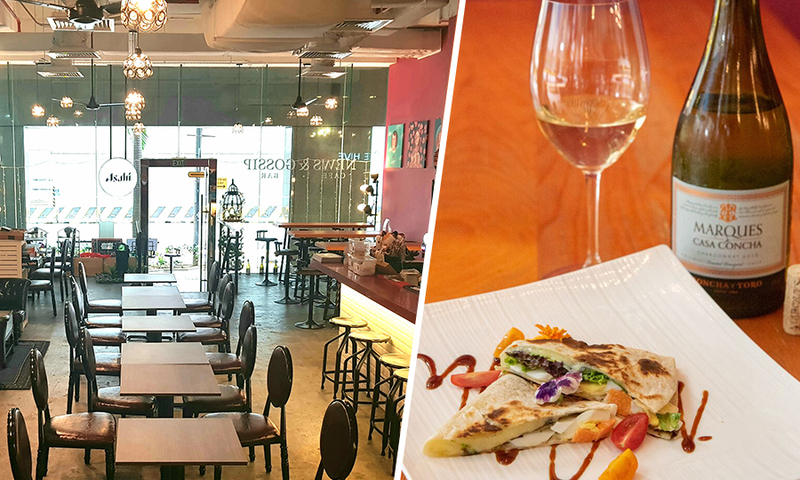 Located at the National Museum of Singapore, Flutes was named one of the Top 101 Best Restaurants in Asia in 2013 and has since continued serving up dishes with a modern twist. The meal starts off with the Port Augusta Bluefin Tuna with beetroot and horseradish. The dish is paired with the Marques de Casa Concha Sauvignon Blanc 2015. It's followed by the Blue Ridge Marron with truffle hollandaise, asparagus and Parmesan Fregola that goes well with the Marques de Casa Concha Chardonnay 2016. The meal continues with Fillet of Grass Whiting paired with the 2015 Marques de Casa Concha Pinot Noir. Next is a serving of Grilled Blackmore Wagyu Tri Tip with Jerusalem Artichoke, Kalettes and Sauce Perigord paired with Marques de Casa Concha Cabernet Sauvignon 2016. End the meal with the Valrhona Chocolate Cake with vanilla ice cream and raspberry. It's paired with the Marques de Casa Concha Carmenere 2015. You can avail of the pairings until the end of October. There's no denying that keeping friendships as adults can be difficult. So grab the opportunity to celebrate once you get the chance. If one of your best friends is coming home after migrating to a different country or you simply have not seen your pals in a long while, it's time to raise your glasses, drink up and enjoy a good meal. The best place to visit for this is a restaurant that's apt for the occasion, News & Gossip. 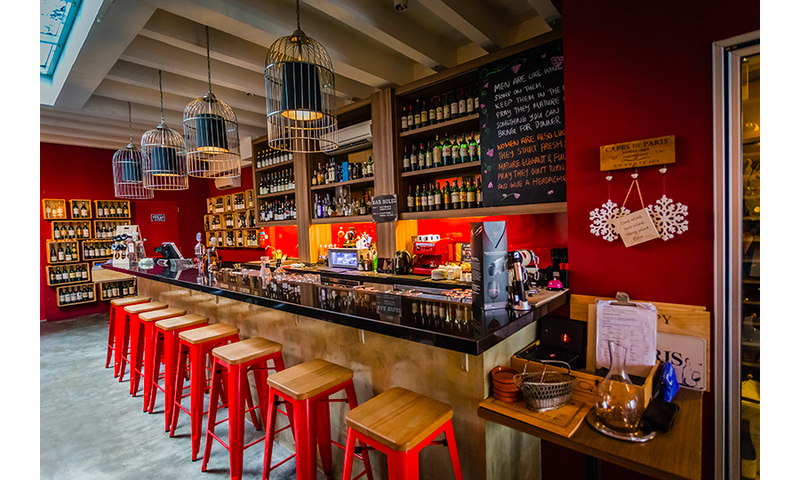 Exchange stories and enjoy each other's company in this rustic place that serves up lunches and fusion tapas with a great selection of drinks. Try their wine and dine pairing for an experience you'll not only enjoy during the moment but will also be a point of conversation even after time. The meal starts off with the Jurassic Pasta, which gets its name from the crocodile meat included in the dish. Pair it with the Marques de Casa Concha Chardonnay 2016. Next, go for the Shisamo Mentai & Egg Quesadilla that's best paired with the Marques de Casa Concha Carmenere 2015. Enjoy the perfect match until the end of October. Yes, exams are part of everyone's academic journey. But you can't pass off on celebrating your passing especially if you were particularly challenged by it; a board exam to become a doctor or the bar exam for lawyers is no easy feat. Enjoy the moment at Salt Grill & Sky Bar. 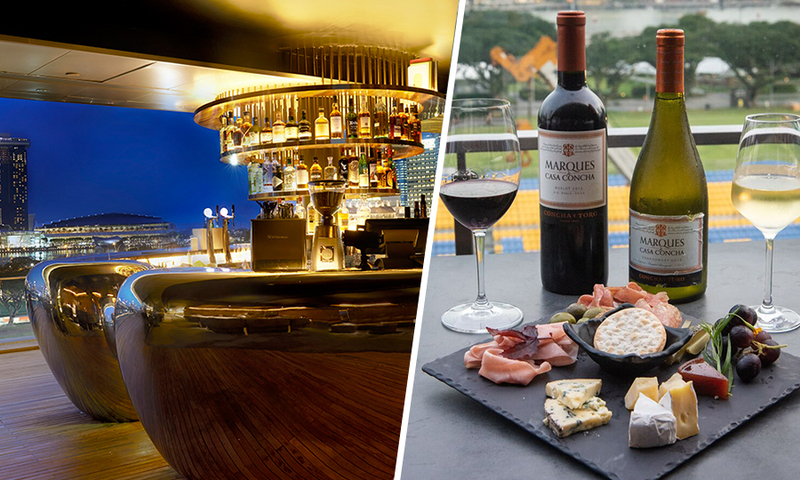 Located at level 55 of ION Orchard, the place gives you a rocking view of city and sea. While savouring the sights, treat your taste buds, too. Start off with the Whipped truffle burrata with pangrattato, leek, fig, tomato, olive, basil and aged balsamic. Complement it with the Marques de Casa Concha Chardonnay. Follow it with the Roasted shark bay brown tiger prawns with seaweed beurre noisette, garlic cream and charred lime that goes great with the Marques de Casa Concha Pinot Noir. Lastly, indulge in the Westholme Wagyu with Manjimup truffle, smoked celeriac, garlic and jus. 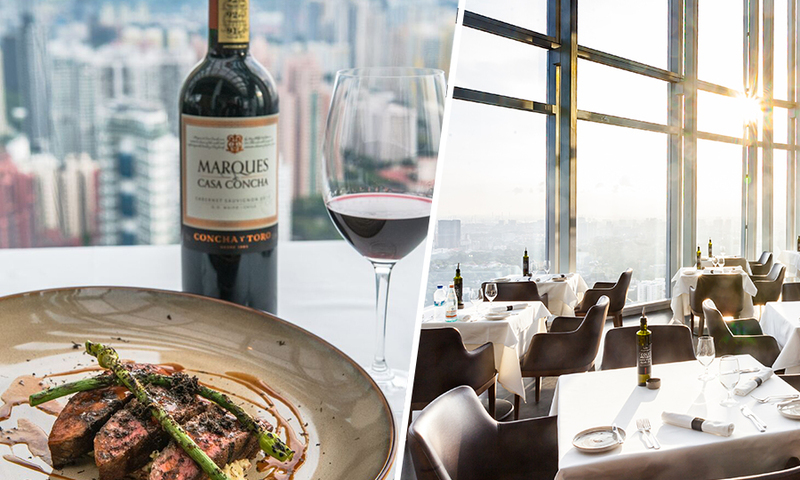 Enjoy a classic steak and wine pairing with the Marques de Casa Concha Cabernet Sauvignon. Get the full six-course menu until the end of October. You've finally gathered the courage to have your health checked, and the good news is you were worrying about nothing! You're as healthy as can be. That means you have more time to enjoy so many experiences. Indulge in a culinary experience that's special but not too heavy. Go to Smoke & Mirrors, found on the rooftop of National Gallery Singapore, and enjoy their cheeses. You can enjoy their Gourmet Cheese Platter when you purchase a bottle of either the Marques de Casa Concha Chardonnay 2016 or Merlot 2015, or enjoy their Charcuterie and Cheese Platter. The pairings were available in September. There are so many things still to learn and master in your craft but it doesn't mean you can't celebrate your milestones. Doing something you love for a year is an accomplishment! So make sure you look forward to making many more achievements, but don't forget to treat yourself, too. Start off with a culinary one at Dusk Restaurant. Marvel at the sunset while at this restaurant that's surrounded by lush rainforest. 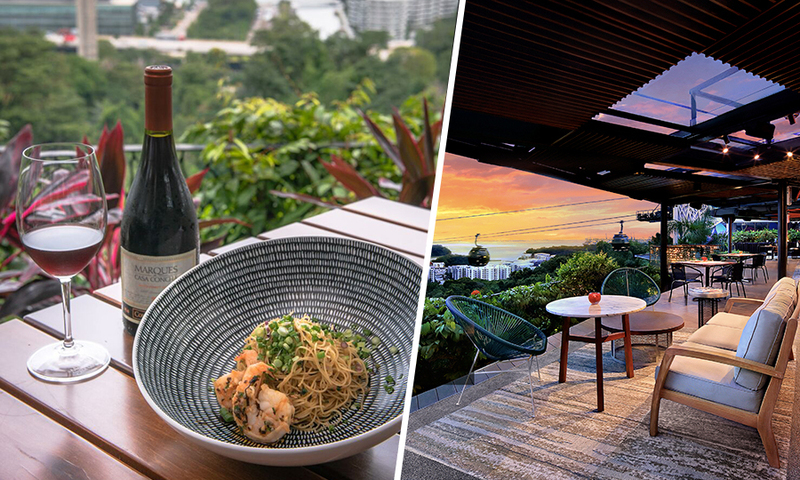 Celebrate the occasion with a meal that starts off with an appetiser of Tiger Prawn Capellini, angel hair pasta that's tossed in lobster-infused oil and served with a tiger king prawn. Pair it with the 2016 Marques de Casa Concha Pinot Noir. Next, go ahead and indulge in their Norwegian Salmon Fillet, a dish that's made with pan-seared salmon fillet with butternut pumpkin and a confit of tomato on a bed of mousseline potato drizzled with hazelnut chicken jus. This goes well with a serving of Carmenere 2015. You may also try the Beef Cheek with Port Wine Demi Glaze that you can pair with Marques de Casa Concha Cabernet Sauvignon 2016. Cap off the meal with Vino Rosso Granite, a Chilean Carmenere sorbet with fresh wild berries. Enjoy the pairings until the end of the year. Maintaining a healthy relationship requires hard work, contrary to popular belief. So give you and your partner some time to celebrate your journey. 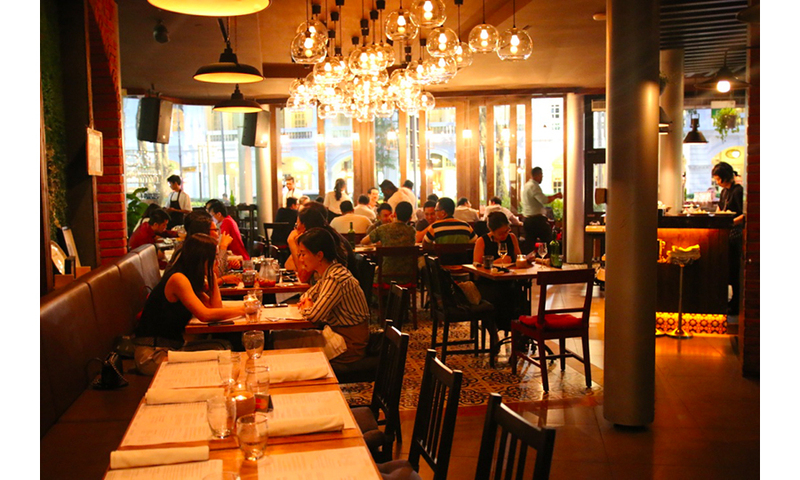 Take a break and enjoy yourselves at the Salt Tapas & Bar, located at Raffles City Shopping Centre, where you can enjoy tapas with an Australian twist. Try their bestsellers, including the Fine de Claire Oysters; Warm Abalone with Nam Jim, Cucumber and Hazelnuts; and Smoked Chilli Wagyu short ribs with caramelized shallot, dried tomato and horseradish. Pair any of these with the Marques de Casa Concha Chardonnay 2016 or Marques de Casa Concha Syrah 2015. Avail of the offerings until the end of October. There's no better person and no better occasion to celebrate than you and your birthday! You work hard, so make sure you play hard, too. Enjoy yourself and this once-a-year occasion to focus on you. Go ahead and enjoy the three-phase meal at Praelum, a wine bistro that also serves up fresh, delectable food. For the first phase, called Convention, you'll enjoy braised beef cheeks, root vegetables, forest mushrooms and mash with the Marques de Casa Concha Cabernet Sauvignon 2016. The next phase is Progression, where you'll get to enjoy a dish of squid, grilled vegetables and saffron cream. This is good for pairing with Marques de Casa Concha Chardonnay 2016. The last phase of the meal is the Evolution, which consists of dishes with charred lamb, harissa spice and mint yoghurt. Enjoy this with Marques de Casa Concha Carmenere 2016.